Simply exceptional in every way. Aristide's fleece has drawn gasps and glowing praise from every major judge. He comes from 5 generations of Xanadu Farm champions and it shows. We'll be glad to send you fleece samples to help you start your analysis. 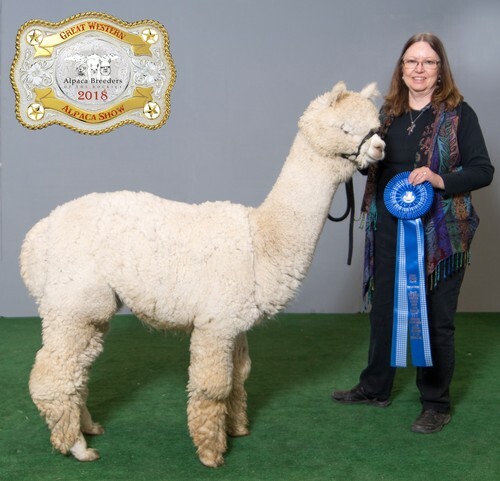 We co-own his full brother, Xanadu P Adorno, so we have Aristide for sale, but until then he'll be working for us, and he has his first cria coming fall 2015 and he has ladies lined up. .
Elizabeth is just what we hoped for in pairing White Diamond with Leviticus. She is super-fine, with incredible brightness. She carries good density, too, as she sheared 4.85 pounds with only 9 1/2 months growth. We are awaiting her histogram. Her dam was still under 20 microns at 4 years old, so I'm expecting lingering fineness here. Her fleece has a buttery soft handle is is a joy to work with. Argos is one of only 10 currently registered sons of Xanadu P Aristide, a multi Color Champion who now resides in Germany. Argos is about as bright white as you will ever see. Everyone drools over his fleece. 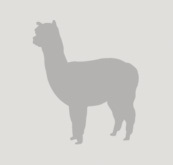 In the top 1% in EPD's for AFD (fineness), his fleece is just so buttery soft! He is a robust boy with great bone and one of the best heads you've ever seen. He is in the top 15% in EPD's in other key traits. He just keeps getting better as he gets older. At the 2018 ABR Fall Fest, Argos' fleece took 1st and Color Champion, Judge's Choice and Best Crimp! He has a very lovely, mellow disposition. We will be proving him this year. Judge Diana Timmerman could barely take her hands out of his fleece in the Walking Fleece Show. She just kept saying "Oh!" It was great fun! 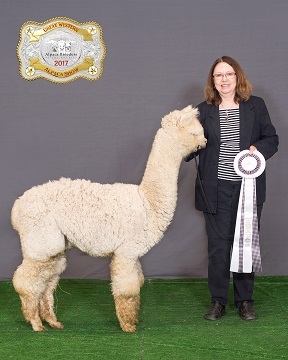 At the 2017 GWAS, Judge Wade Gease loved his soft, supple fleece and and praised its good architecture.